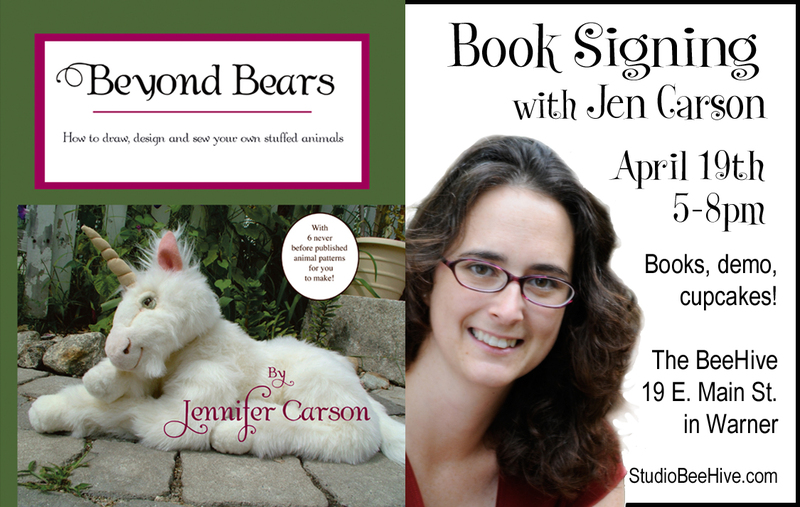 Join us at The BeeHive on April 19th, from 5-8pm, for a Book Signing with Jennifer Carson. 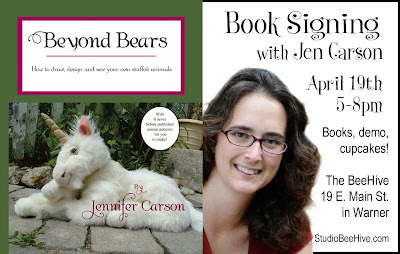 Jen is excited to present her newest book, Beyond Bears - How to draw, design and sew your own stuffed animals. She'll be demonstrating how to make a tiny bear head pin from the book. Copies of the new book, as well as her previous adventure books, To Find a Wonder and Hapenny Magick, will be available for sale. If you cannot make it to the book signing party, but would like to purchase a copy of Jen's new book, you can get it from her Etsy shop online.